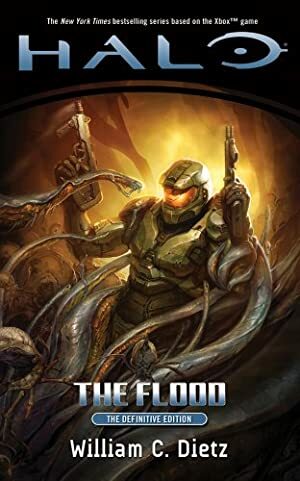 Halo was a landmark First-Person Shooter video game. Multiple novels, comics, short movies, etc. explore the game’s starships-and-aliens setting. This profile concerns the MJOLNIR armor from the *novel* only, so there are significant discrepancies with the video game versions. Stats for the Spartans can be found separately. The MJOLNIR Mark V, Model I, power armor has protective mechanisms that dampen physical impacts and refract energy attacks. Its fractal liquid crystal mesh doubles the wearer’s strength and boosts the wearer’s reflexes by a factor of five. The armor is climate-controlled, shielded against radiation and EMP, and can recycle its internal air supply for 90 minutes, allowing the wearer to work unhindered in vacuum. Additional integral equipment includes thermal sensors, motion detectors, and encrypted radio systems, the readouts of which are incorporated into their helmets’ HUDs. The HUDs also add Friend-or-Foe visual tags to UNSC personnel and equipment broadcasting the appropriate signals, making it easier for Spartans to distinguish friendly forces from enemies in chaotic circumstances. However, the MJOLNIR’s strength and agility came at a price. The new armor moved so quickly and powerfully that it would fatally harm normal human beings who tried to wear the suit before they had time to learn to control its movements. 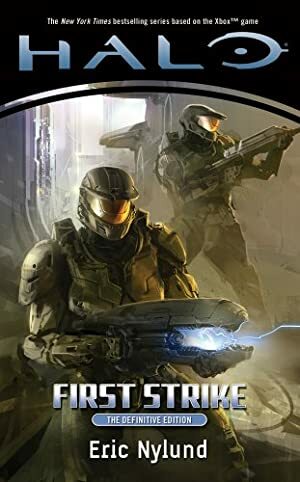 The only people who were durable enough to withstand the physical stress of using the armor were the enhanced Spartans. The MJOLNIR Mark V, Model II armor has all of the MJOLNIR-I’s abilities. It adds a skin-tight force field adapted from Covenant technology that enhances the armor’s durability. John-117’s variant of the MJOLNIR-II armor includes a new layer of circuitry in the liquid crystal mesh that allows the suit to carry an AI nearly equivalent to the powerful AIs that run starships. The Cortana AI used in John’s armor has superhuman computer hacking skills and also serves as a valuable real-time information and intel processing service for the wearer. The MJOLNIR Mark V, Model III armor has no major changes from prior Mark V armor sets, but does incorporate numerous incremental advances over previous models. In addition to bolstering the UNSC’s infantry forces with supersoldiers from Project SPARTAN, ONI undertook research to create functional power armor for UNSC troops. Early attempts at power armor had proven ineffective in the field for various technical reasons, with the foremost one being a sufficiently compact power source. Those early sets of power armor ended up being used as dock loaders. They were later used by the Spartans’ trainers after the Spartans were enhanced. The trainers needed the extra protection to avoid being hurt by accident during the Spartans’ field exercises. Project MJOLNIR was a new approach, beginning from scratch with neural links and reactive metal liquid crystal technology that fractally scaled and amplified the user’s movements. Unfortunately, the new armor was too dangerous for human wearers. It responded to and enhanced the wearer’s movements so quickly and powerfully that a normal person would inflict fatal injury on themselves in a matter of moments as every movement strained their body past its breaking point. Fortunately, ONI now had soldiers that were more than human. 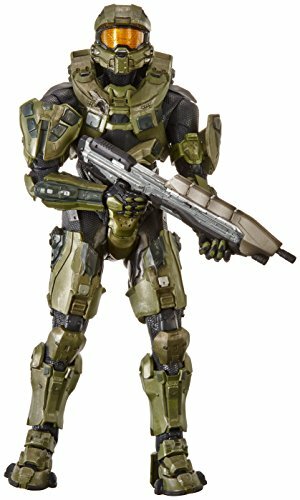 The Spartans were brought to the UNSC Damascus Materials Testing Facility on Chi Ceti 4 and allowed to try out the MJOLNIR armor. 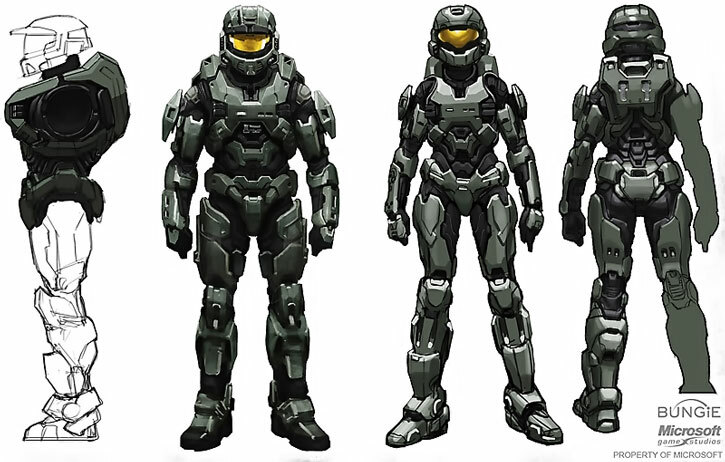 As the UNSC scientists had hoped, the Spartans’ enhancements allowed them to safely wear the armor. The Spartans were thrilled to discover how much the suits enhanced their physical abilities. They could shatter concrete with their punches and move quickly enough to dodge bullets (though such spectacularly dexterous feats were possible only with great concentration and effort). The MJOLNIR armor became a signature of the Spartans, even among themselves. They felt uncomfortable when they were not wearing it. The reverse-engineering of Covenant technology allowed the ONI to upgrade the MJOLNIR armor in 2552, adding a full-body force field. This version of the armor was designated MJOLNIR-II. SPARTAN-117’s armor was also upgraded to carry a starship-quality AI. A prototype MJOLNIR-III armor was found on Reach. It was disassembled for parts to repair several Spartans’ damaged MJOLNIR-II armor. By the time John-117 returned to Earth, he had acquired a complete set of MJOLNIR-III armor. 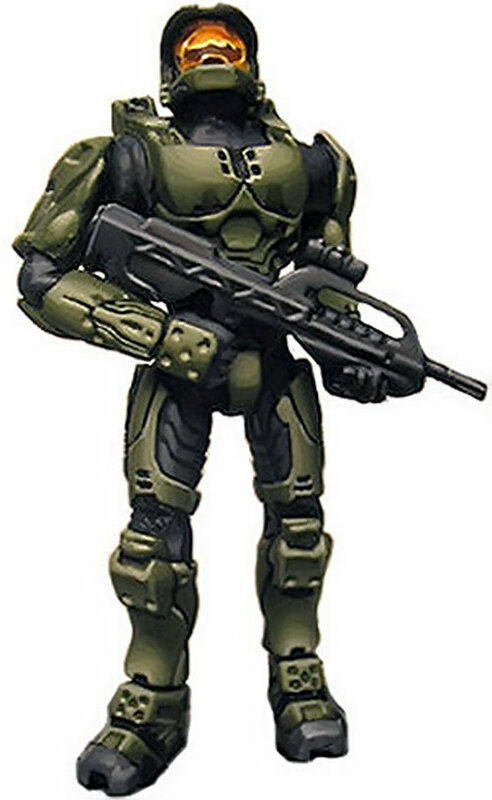 If Reach had not fallen, it is likely the MJOLNIR-III armor would have become standard Spartan issue fairly soon. The inner layer of the MJOLNIR armor is a body suit made with black intermeshed layers of a reactive metal liquid crystal. The outer layer of the armor is a green-gold metal with a faint iridescent sheen that covers the feet, lower legs, knees, outer thighs, groin, upper torso, upper arms, and forearms. The final piece is a metallic green-gold helmet with a golden-mirrored semi-transparent visor. The MJOLNIR-II and -III armors’ black inner layer had more convolutions than the first version and the armor plates were slightly thicker. When the MJOLNIR-II’s or -III’s force field takes an impact, the armor is momentarily surrounded by a dim form-fitting nimbus of violet energy. In the MJOLNIR armor, the Spartans stand over two meters tall and weight over 200 kilograms. Their swift, fluid, and precise movements in combination with the armor’s appearance makes the armored Spartans look more like robots than human beings to most observers. While the armor is devoid of insignia, a rank marker is usually displayed for others to see in a corner of the helmet’s visor as part of its HUD. The overall look of the Spartans in these imposing armored suits has been described by some soldiers as resembling Greek gods of war. Data Storage can be used to either store computer files (usually maps or pre-recorded images) or to record A/V data gathered via the suit’s sensors (+0FC). Area Knowledge (if maps of local area are available to be downloaded into the suit’s computer), Hardened Defenses, Lightning Reflexes. See “Mastering the MJOLNIR” below. Data Storage can be used to either store computer files (usually maps or pre-recorded images) or to record A/V data witnessed by the user (+0FC). Armor wearer can attack through the Force Field (BC: 60, +1FC). Force Field protects armor (and armor wearer) only (-2FC). Every attack that strikes the MJOLNIR Armor, whether or not RAPs are scored, reduces APs of Force Field by one. Force Field “recharges” to full APs after two complete Phases in which the MJOLNIR Armor is not hit by an attack (-2FC). John-117’s Model II armor had its Data Storage upgraded to 25 APs to hold the Cortana AI. See the Cortana writeup for further details. /DEX/ 12 /STR/ 07 /BOD/ 10. Armor wearer can attack through the Force Field (BC: 60, +1FC). Force Field protects armor (and armor wearer) only (-2FC). Ultra Vision only provides image enhancement and does not function in absolute darkness (-1FC). John-117’s Model III armor had its Data Storage upgraded to 25 APs to hold the Cortana AI. See the Cortana writeup for further details. The suit’s musculature is very difficult to control without overextending and injuring the wearer. When someone first dons a set of MJOLNIR armor, it “attacks” them in each phase that they try to move with an AV/EV of 08/06 vs. an OV/RV equal to the wearer’s natural DEX/BODY. If the wearer has innate protective measures such as Skin Armor, those can also be applied to the OV/RV. Once someone has moved for four consecutive phases without the armor scoring RAPs against them, the AV/EV drops to 06/04 and is only rolled once per five minutes of activity. This reduction applies even if the wearer later has a mishap and is injured by the suit. At this stage, an additional 8 APs (15 minutes) of practice will further reduce the AV/EV to 04/02. Another 8 APs of practice will eliminate the attacks entirely. Once a person has gone through this practice and mastered the use of the suit, they do not need to do it again even if they don a different model of MJOLNIR armor. The Spartans sometime use the following items in conjunction with their MJOLNIR armor. Camo Cloaks [BODY 04, Invisibility (only vs. Thermal Vision): 08]. In addition to providing normal visual camouflage, these cloaks break up the wearer’s thermal signature by means of a set of refrigeration and heating units on the cloaks’ surface. THRUSTER PACK [BODY 05, Flight: 05, Limitation: Flight only works in zero-gravity conditions]. These packs attached to the backs of MJOLNIR armor and allowed the Spartans to easily maneuver in zero-g environments. 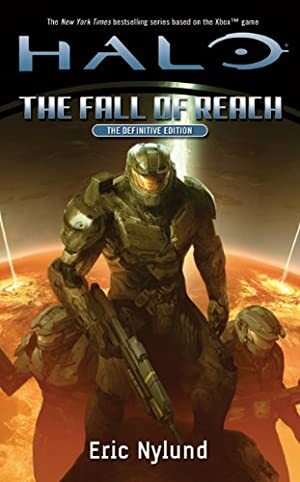 Source of Gadget: Halo novels (The Fall of Reach, The Flood, First Strike). 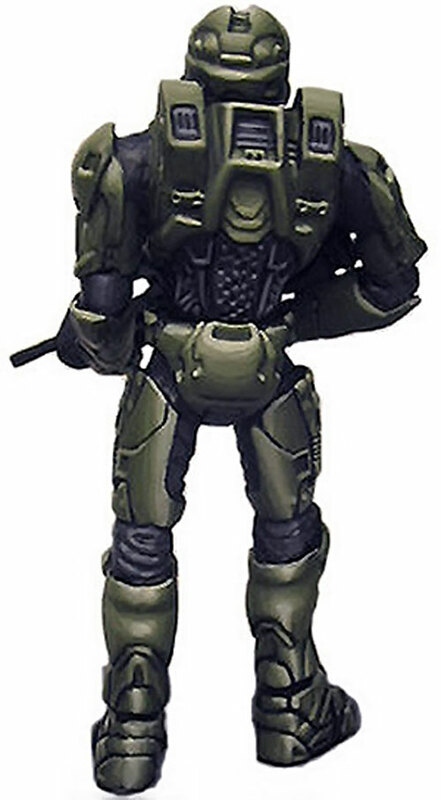 Helper(s): Mark A. Ayen for his write-up of the video game version of Master Chief.